The Mamas and Papas Sola carrycot in black and grey. Comes with mattress, mattress cover and hood. Collapses partly for easy storage. In good used condition. Some light marks and fading from general previous use but nothing which ruins the carry cot. 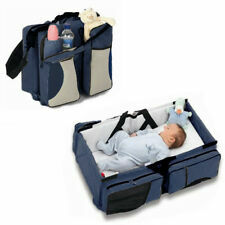 Baby Carry Cot Bag - Navy. 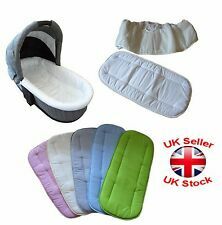 ❥3 in 1 design: travel carry cot, changing bag, changing station. 3 in 1 design: travel carry cot, changing bag, changing station. Stylish design, to carry all of mum's and baby's essentials. Icandy peach carrycot, royal blue. Condition is Used. Only used for 3 months. Comes with removable cover and mattress. Great condition. Collection only. quinny buzz carrycot raincover. Condition is Used. Used only for maxi cosi car seat but was too much hassle so selling! Dispatched with Royal Mail 2nd Class. Cosatto Giggle 2 carrycot apron. Apron to fit the Cosatto Giggle carrycot. Treet colourway. Fleece on one side. Get images that. For sale one ICandy Peach carrycot In Olive, suits to twin space grey frame. Perfect for newborn baby. Condition used but very good. Washable insert. Comes with mattress but no cosytoes cover and bumper unfortunately. Any questions, please ask. Thanks for looking. Could pick an apron up off here or use a blanket *Pram Parts 4U* I strip parts from used prams so they will show signs of wear but the spares will extend the life of your pram for much less than buying a whole brand new travel system. Please ensure you buy the correct piece for the correct pram as I don't offer returns for incorrectly ordered items. Items are security marked. I always combine postage for multiple purchases and will search for the cheapest method which is generally Hermes. My eBay is set to auto open unpaid item cases after 4 days for me to get my fees back. Any questions please ask. Hi. This listing is for Stokke Xplory brown carrycot only. Comes without hood. Excellent condition. Was used wit V4 version. Suitable with all Stokke Xplory versions. Phil & Teds Snug Carrycot For Dot With Rain Cover. Needs adapters for the frame. Generally the same as the car seat ones. *Pram Parts 4U* I strip parts from used prams so they will show signs of wear but the spares will extend the life of your pram for much less than buying a whole brand new travel system. Please ensure you buy the correct piece for the correct pram as I don't offer returns for incorrectly ordered items. Items are security marked. I always combine postage for multiple purchases and will search for the cheapest method which is generally Hermes. My eBay is set to auto open unpaid item cases after 4 days for me to get my fees back. Any questions please ask. Clair de lune broderie anglaise cozy carry cot cover (CL5552). (Carry cot not included). Colour white. Set consists of 1x fitted sheet, 1x apron. Uppababy Vista Carrycot in Mica Silver, complete with mattress, raincover, insect net and travel bag. Great for use as a travel crib. I will post using Hermes tracked and fully insured 2 day delivery service. Bugaboo Fox Carrycot Fabric . , mattress none used , no box . . Blue melange . Babystyle Oyster 2 carry cot in purple grape. I bought off a friend and only used it for 4 months. Has slight mark underneath hood (in pic 2) but doesn't affect use at all. I will try clean it again as it was there when I bought it. Comes with matress. Any questions just ask. Could courier at cost to buyer. Joie Chrome DLX Carrycot. Condition is Used. Dispatched with Royal Mail 2nd Class. Excellent condition, 6 months old. Colour: pavement. Raincover included. In excellent used condition. Complete with mattress & raincover. Tomato red. Britax Affinity 2 Carrycot.Boxed.Brand New. QUINNY BUZZ, XTRA & MOODD FOLDABLE CARRYCOT In Pink. Rain cover and mosquitoes Condition is Used. Dispatched with eBay delivery – Shutl 1 day. Quinny Mood Foldable Carrycot In Black. Condition is Used. Collection only. Cash on collection. There is the waterproof raincover. also has its own storage bag. These adaptors are for use with the bugaboo bee 3 and 5. The adaptors are in great condition as they were only used on a few occasions. Condition is Used. JL Childress Gate Check Bag Standard and Double Strollers. JL Childress Gate Check Bag is ideal for travelling, the bag can fit any standard size or standard double size stroller making it easy to carry them across the airport and check them in. Brand new carrycot colour pack in Wild Purple. Oyster 2 Oyster Max Oyster Gem Update your pram or simply have a change of colour. Thanks for looking Any questions just ask See my other listings I have other Oyster products for sale and am willing to combine postage. Bugaboo Baby Changing Bag Grey Melange. See description. Babystyle Oyster 2 Carrycot - Black colour. Very good condition. Comes with extra blue colour pack, raincover, sheet. Collection from Milton Keynes. I also have an iCandy peach 3 Blossom lower carrycot for sale in Fuchsia. Immaculate condition. Mamas and Papas Newborn Cocoon Teal (Winter Cold Foot Muff). Condition is Used. Dispatched with Royal Mail 2nd Class. Currently used on a Mamas & Papas Armadillo XT but compatible with most 3 point harness prams or pushchairs that lie flat. Mountain Buggy Duet Carrycot With Raincover. Condition is Used. Collection preferred. Bugaboo Bee 5 Carrycot With Base/ adaptors/ Mattress. Excellent Condition. 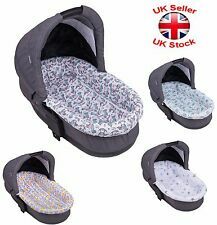 Mountain Buggy Newborn Cocoon carrycot. Condition is Used but good and clean with loads of life still left in it. Selling as boy has grown out of it. It has been a brilliant extra for our mountain buggy duet pram! !